Ahoy has unveiled a new website for Spinningfields in Manchester on behalf of developer Allied London. The new site is intended to establish the business, retail and residential estate’s web presence as a destination in its own right. Giving greater prominence for the Yellow Card discount card, the site features a scrolling events feed, cover-all social media feed and animated interactive route finder. 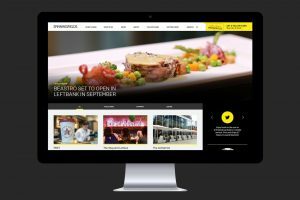 Kim Waddle, Spinningfields' digital marketing manager, added: “Bringing Spinningfields to life online is crucial to the ongoing success of the estate as Manchester’s luxury dining and shopping destination. Ahoy, which has offices in Stockport and Liverpool, also works with the likes of The Mere Golf Resort, Neighbourhood and Steamhaus.